Royalty-free stock illustration of a man lying on a hospital bed and talking to a doctor with a stethoscope around his neck. Royalty-free stock illustration of a man having a conversation with a doctor that is sitting behind a desk. 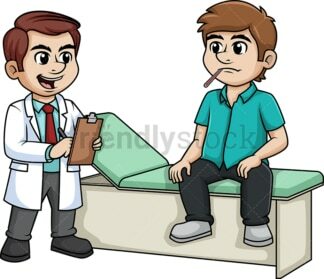 Royalty-free stock illustration of a man sitting on a hospital bed with a thermometer in his mouth while a doctor is asking medical questions and taking notes. 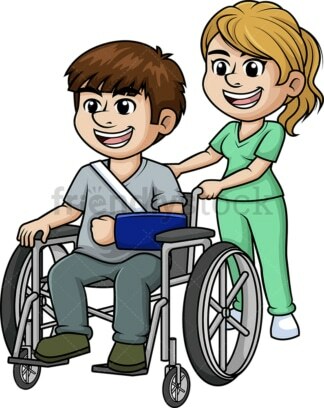 Royalty-free stock illustration of a a nurse transferring a patient in a wheelcair with a broken arm. 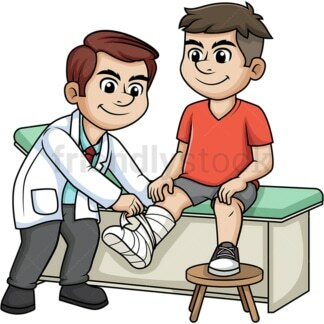 Royalty-free stock illustration of a man sitting on a medical bed while a doctor is tending to his broken leg that is in a cast. 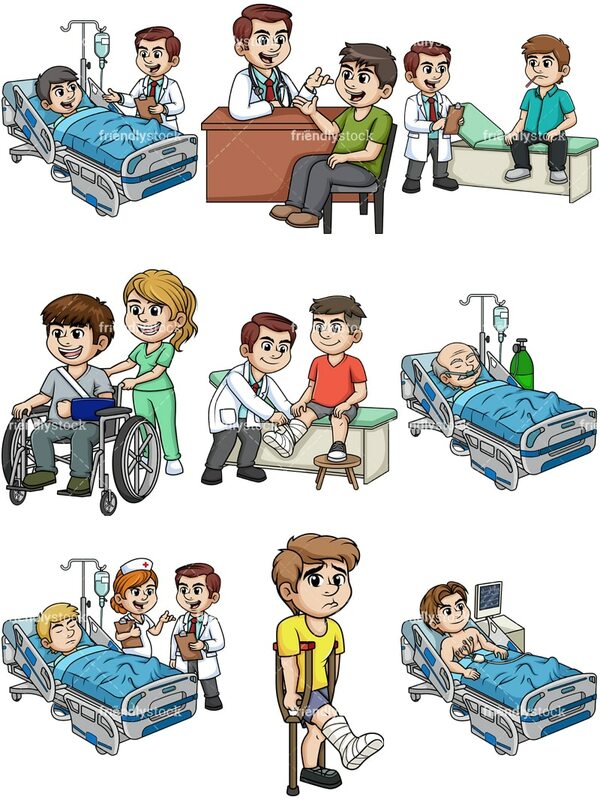 Royalty-free stock illustration of an elderly man in a hospital bed, with IV and oxygen, looking ill.
Royalty-free stock illustration of a nurse and a doctor talking to each other while standing next to a patient that sleeps on a hospital bed. Royalty-free stock illustration of a male patient getting an ECG while lying on a hospital bed. He is connected to a monitor that shows his heartbeat. 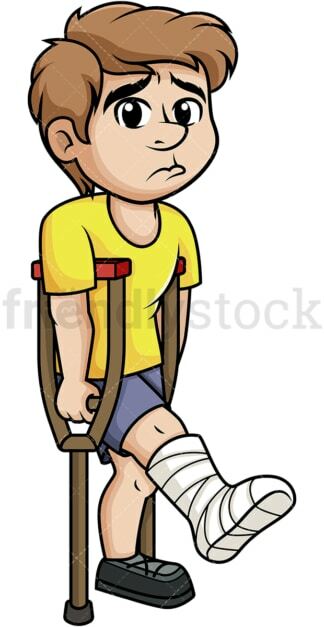 Royalty-free stock illustration of a man who went through a leg injury, looking sad as he tries to walk with crutches.